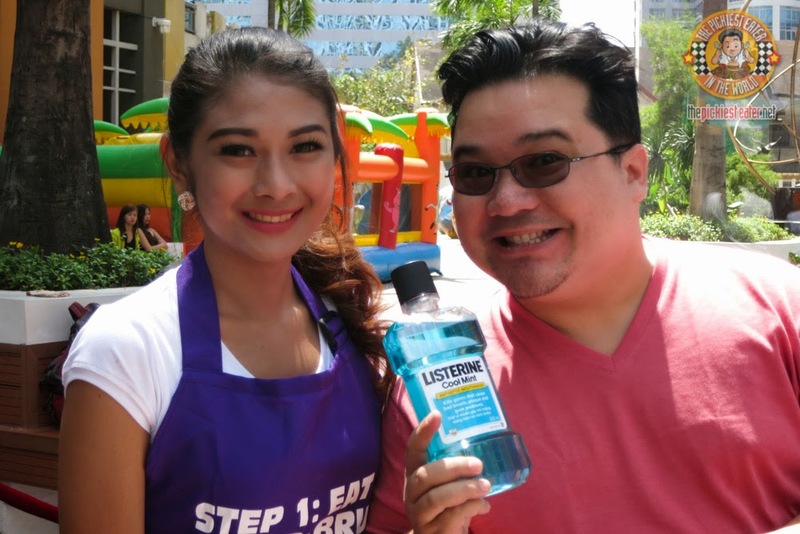 THE PICKIEST EATER IN THE WORLD: STEP UP YOUR FOOD TRIP WITH LISTERINE! 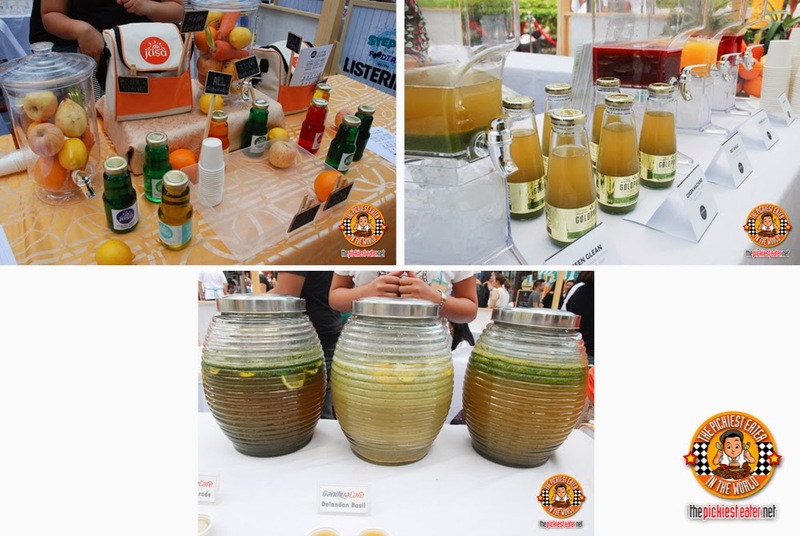 Listerine’s #StepUpYourFoodTrip took me out of my comfort zone (meaning no greasy, oily stuff) and showed me that there are actually some nutritious alternatives that do not sacrifice the taste of the dish. There were healthy sandwiches and rolls. 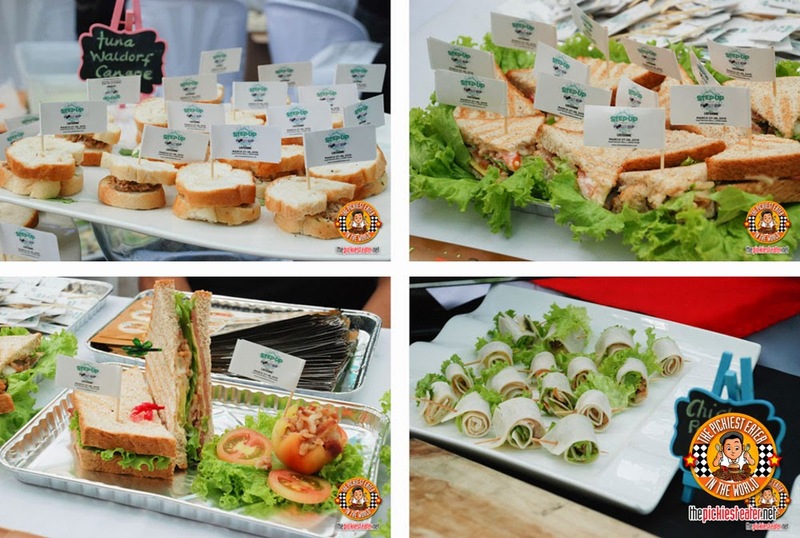 The Tuna Waldorf Canape, Sushi Caesar Salad, and Chicken Panizza Roll were prepared by Fitness Gourmet Ph, and the HBLT (Ham Bacon Lettuce and Tomato) was prepared by The Sandwich Guy. 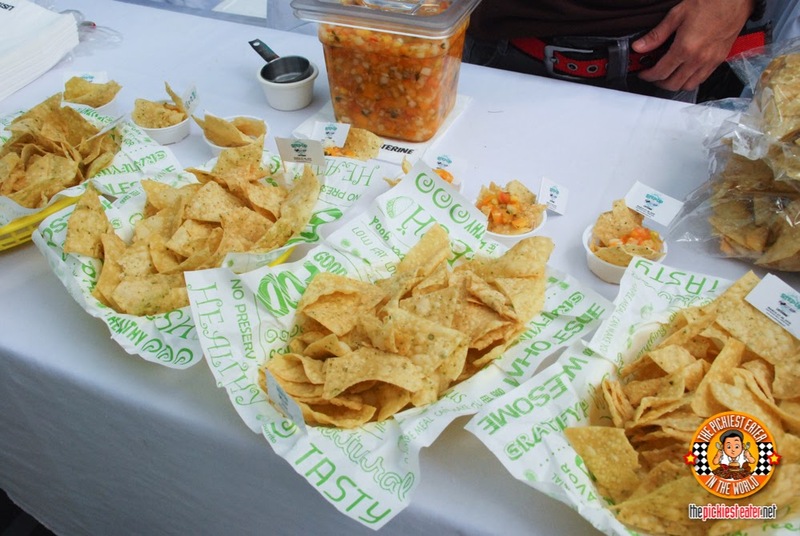 This crispy nachos are actually Malunggay Chips wth Tomato Salsa from Faburitto. Next up is one of our favorites. V Kitchen! Who would have thought that the photo on the top is not chicken but Vegan Korean Soy Garlic..... Cauliflower! Once you bite into it, you will feel the texture is not chicken at all. But it’s not weird or anything. 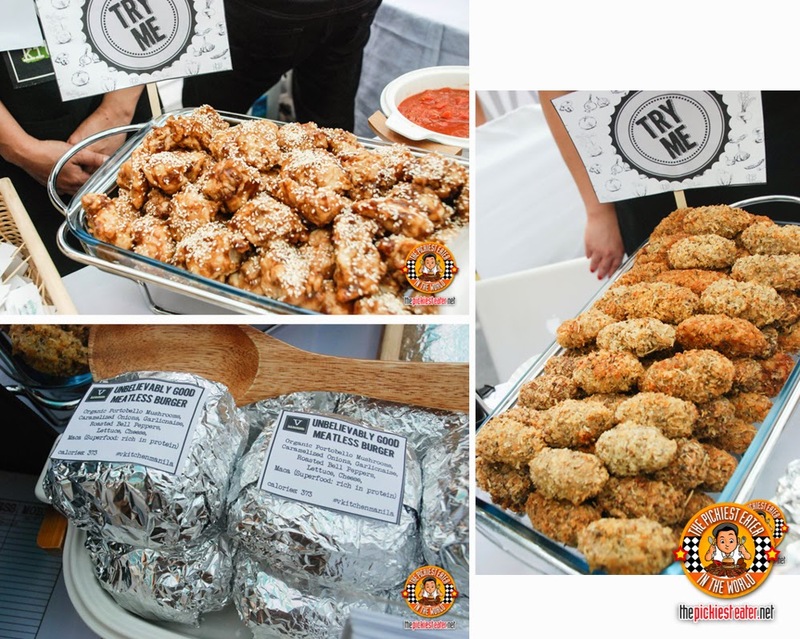 They also have Vegan Cheese Sticks made from activated cashew nuts, milk, olive oil, almond, pink Himalayan salt, thyme, and GF bread crumbs. And then they have the Unbelievably Good Meatless Burger (373 calories) made from organic portobello mushrooms, garlicnaise, caramelized onions, roasted bell peppers, cheese, and lettuce! 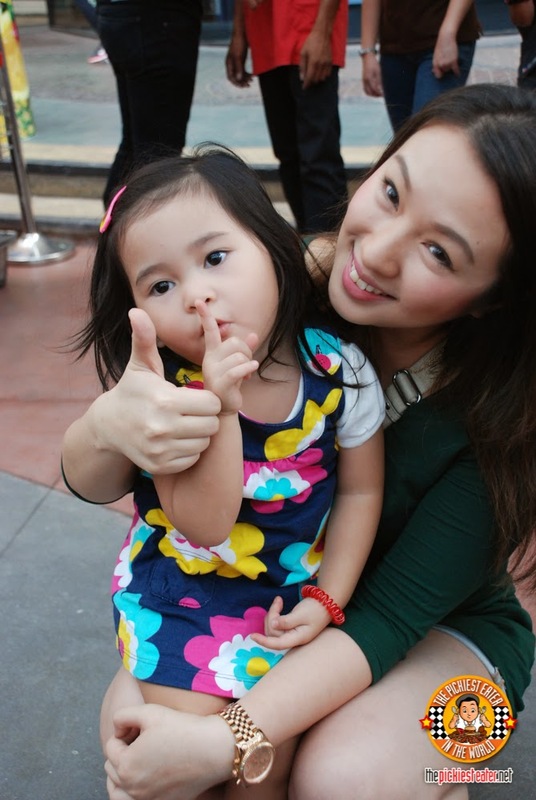 Rain with Tita Heidi of V.Kitchen! You can order from them 5-day meal for Vegan and Vegetarians for breakfast, lunch, snack, and dinner. Follow them on Instagram / Facebook at VKitchen.Manila! Over at Pam’s Choices, they serve Soy Chicken Pasta, Macaroni and Cheese, and Chicken Pesto. The Soy Chicken Pasta reminded us of Yellow Cab’s Charlie Chan, but without the spiciness. It was quite good! 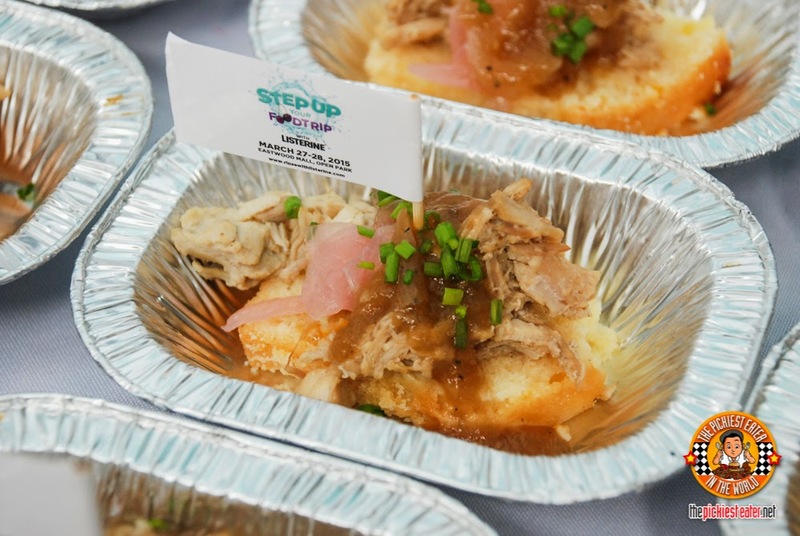 From Lunchbox Diet, Rina tried the Adobo Glazed Pulled Pork with Jalapeno Corn Loaf and Red Onion Conviture. (Wow that’s a mouthful!). 187 Calories. I’m not even sure what a conviture is but Rina enjoyed it. She loved the Jalapeno corn loaf part the best! It wasn’t spicy at all. It was a combination of sweet and savory. 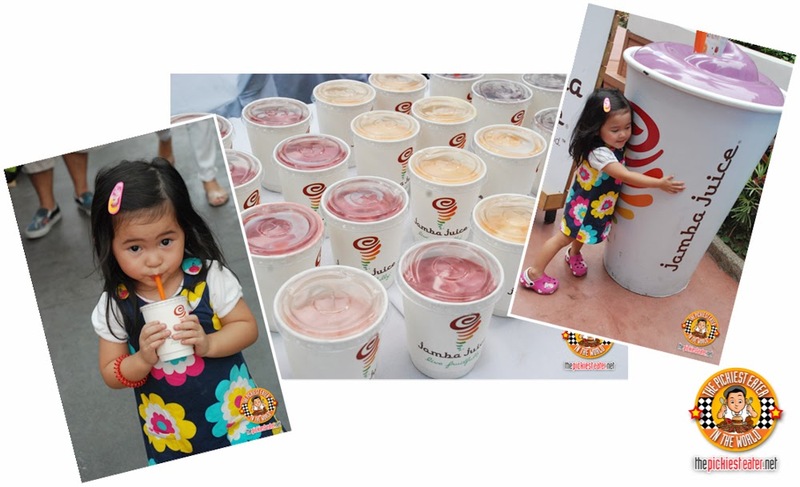 There’s The Daily Jusa, Goldpress Juicing, and Gandiva Cafe. 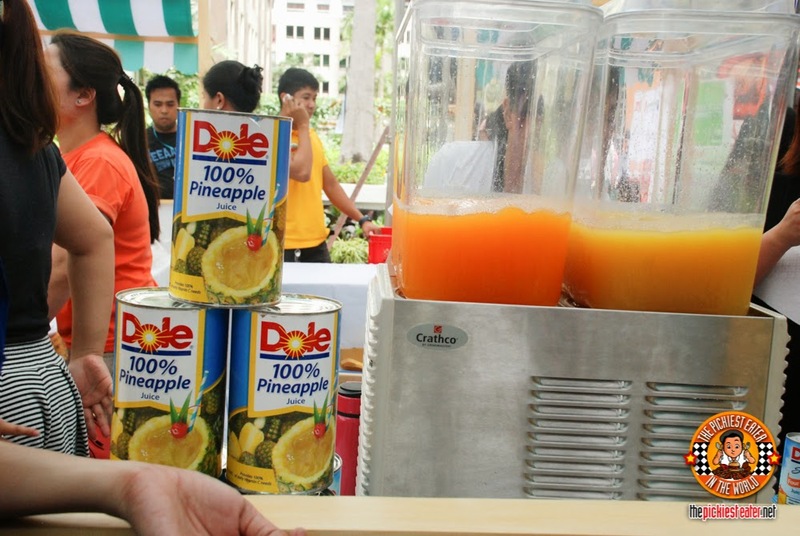 Dole also served some slushy juices that really quenched my thirst on that hot day. 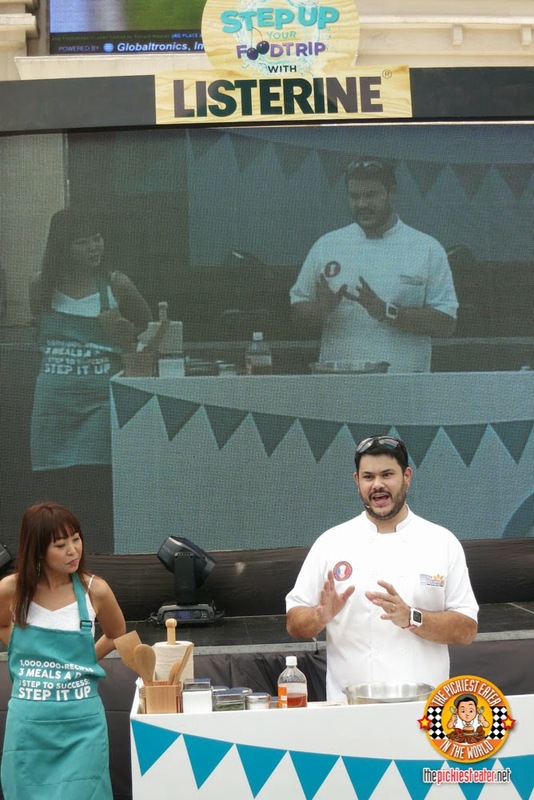 Aside from the food booths, Chef Carlo Miguel graced the event and shared very helpful tips on healthy ways to prepare and cook healthy meals. 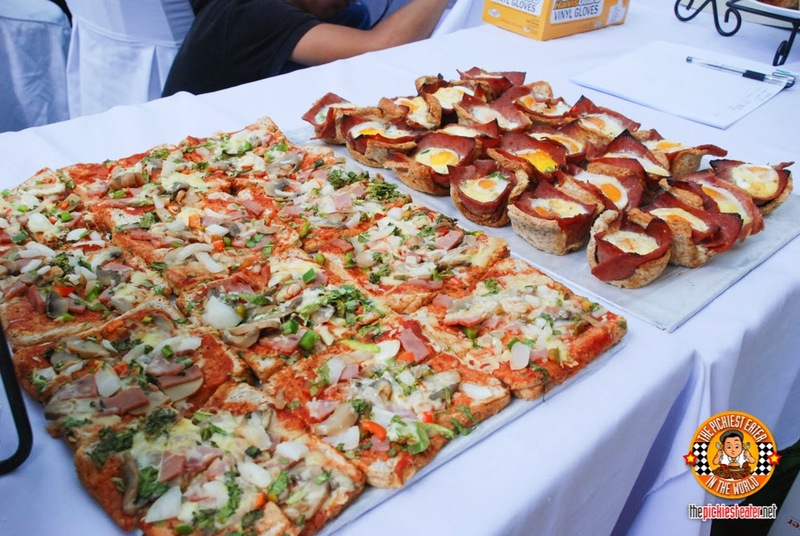 Chef Carlo’s story was rather inspiring, as he was at a near obese state, and he managed to turn his life around by having a healthier outlook in life, and changing his diet and fitness regimen. After taste-testing the food, we went for a quick Listerine gargle on one of the provided sinks. I have to admit that I used to think that brushing after meals is enough. (Call me lazy). And that mouth wash is only for sheer fresh breath. I was wrong. First of all, this Listerine formulation helps remove that slimy layer surrounding your mouth. That slimy feeling is called biofilm. And that houses bacteria. Ok, that can’t be good. 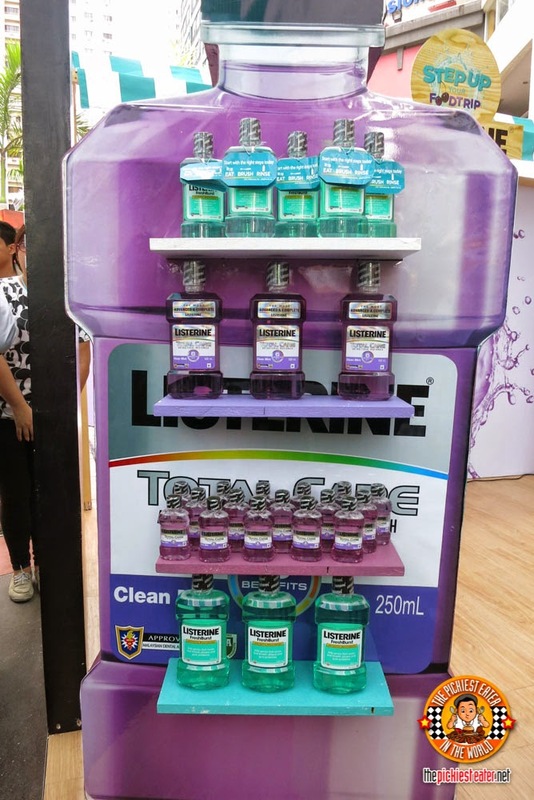 This Listerine Total Care has a unique formulation that includes 4 essential oils that has been scientifically proven to destroy that biofilm layer. 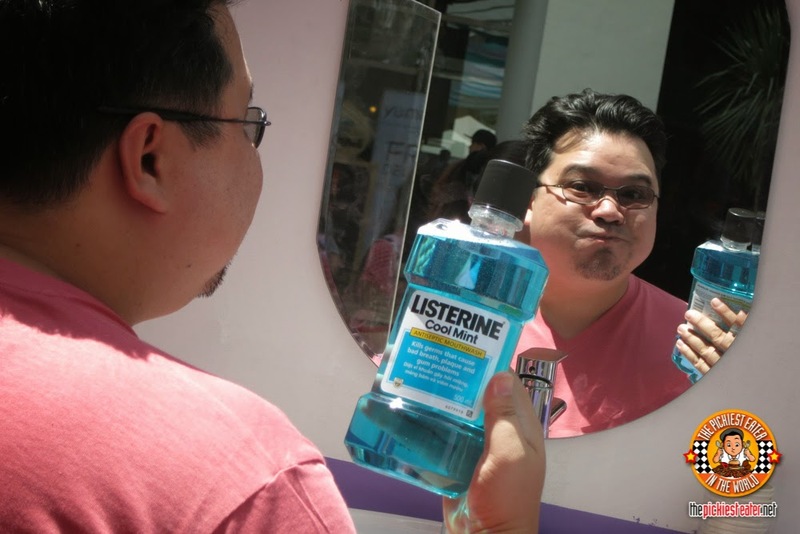 Technically, this means that gargling with Listerine can really #stepitup by helping clean 100% of your mouth. Not only that, Listerine Total Care has got 6 benefits in 1! 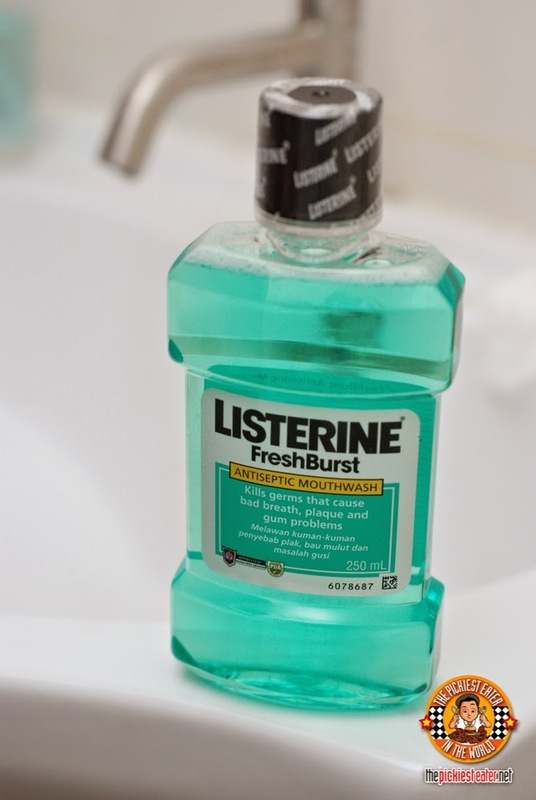 Thanks to Listerine, I learned that the proper way to clean our teeth and mouth is to brush, floss, and then rinse with Listerine. 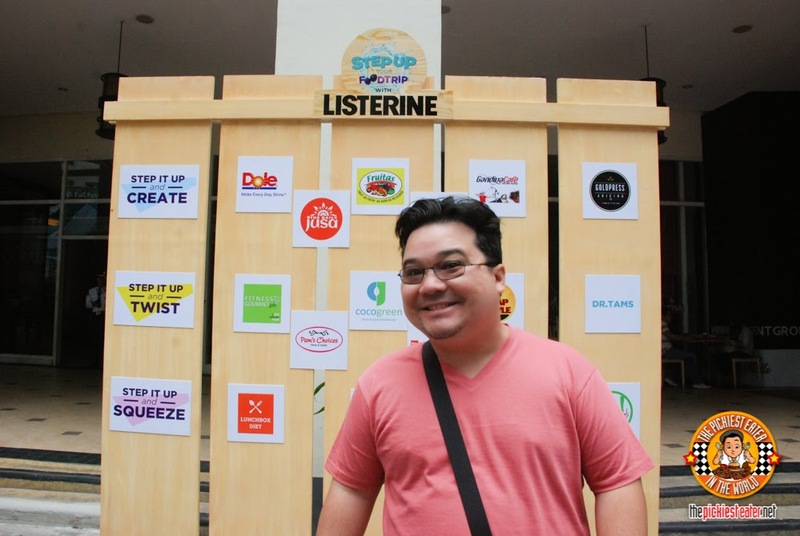 Attending the Step Up Your Food Trip with Listerine event helped us realize that our habit of fast food trip, although it may be satisfying, might not necessarily mean that it’s good for our health. The same way that JUST brushing our teeth may not be enough. Now I’m not saying I’m totally quitting bacon and stuff, but maybe once in a while I’ll can also break my habit by having a good serving of these healthy but delicious dishes. But stepping up by gargling with Listerine? That one I can definitely do for sure! 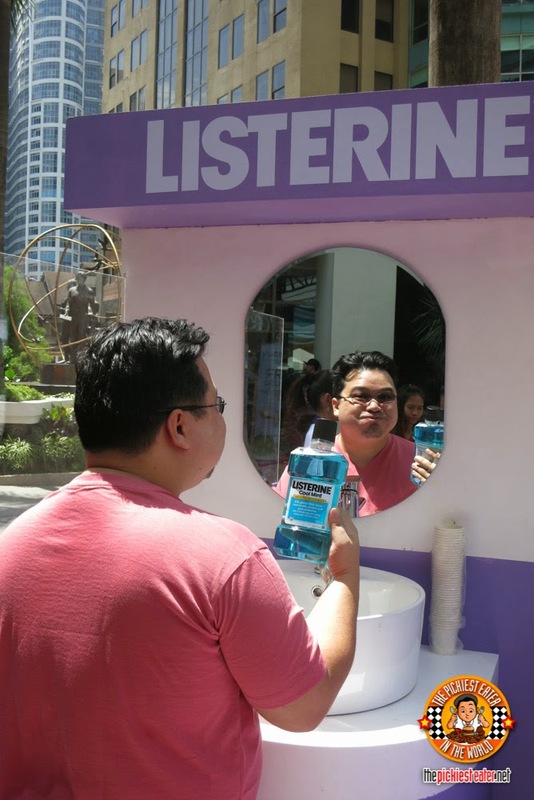 From now on, we’re ready to #stepitupwithlisterine and have a #healthymouthwithlisterine! 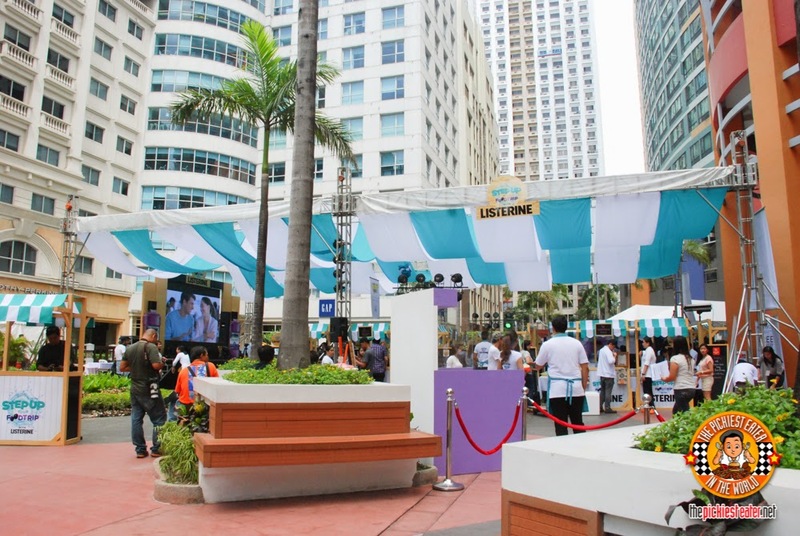 Follow Listerine on Facebook !